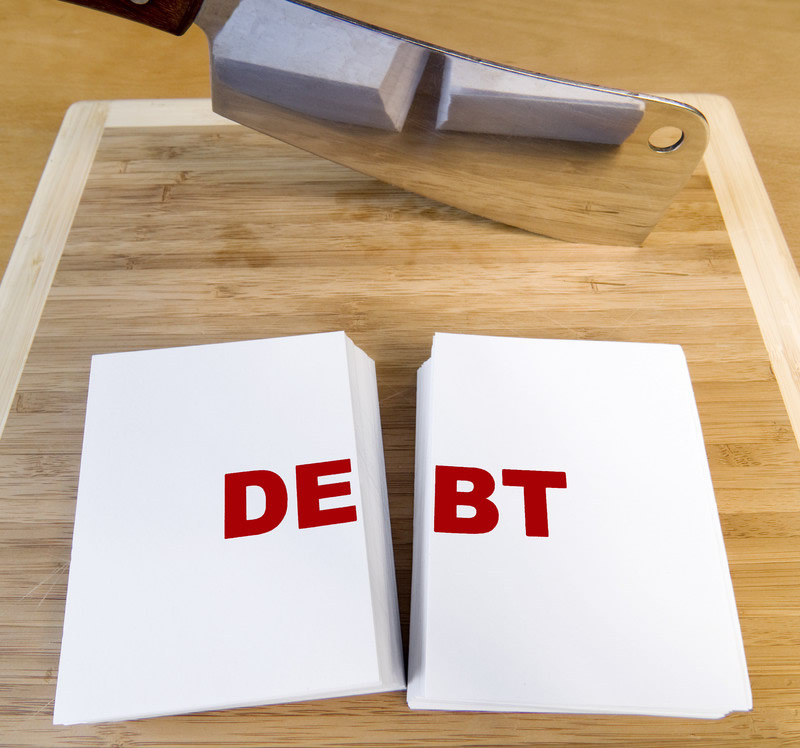 How is Debt Handled in a Florida Divorce? Home > Divorce Law News > How is Debt Handled in a Florida Divorce? Debt, is money or services owed to a company, bank, individual, or other organization, usually secured by a signed agreement or contract outlining the terms of repayment both in time and money. Most people have, at one time or another incurred debt and sometimes, as is common in a marriage, incurred debt together, or jointly as it is referred to. When a marriage is going well, debt, though sometimes in contention, is worked out between the two parties. However, when a divorce appears to be eminent, debt will suddenly become a very important issue. While much attention will be focused on assets, who gets what and how much; the flip side of the coin needs to be looked at as well. Equally important is who will pay what debts and how much, and the answers will play a big part in successfully handling a divorce both during litigation and in the years that follow the final decree. Each state has their own way of handling asset and debt distribution and a Family Law attorney experienced in handling divorce is vital if you hope to navigate the maze of assets and liabilities and come out with a favorable outcome. First, before looking at ways to handle debt in a divorce, you must determine if your state is a community property state or an equitable distribution state, as the way debt is handled is different for each. Community property states are states that simply divide all assets and debts in half, one half for each party. These states include: Idaho, Washington, California, Arizona, New Mexico, Louisiana, Texas, Wisconsin, and Nevada. All other states use equitable distribution except Alaska where a couple can choose to “opt-in” to using community property distribution. Florida is an equitable distribution state. Looking at equitable distribution, the situation involving credit card debt can be tricky. If one party alone secured a credit card then that party is responsible for the ensuing debt. If, however, there are joint credit cards then the debt will be adjudicated to be divided in an equitable manner. This is usually done fairly equally but there are instances when one party may be given a greater percentage of the debt than the other. For example, if one party is awarded a larger amount of property, that party may be assigned a larger portion of joint debt. It is important to note here that if a person is an additional cardholder on an account opened by just one of the spouses, the account is not considered a joint account and the individual who signed for the account is responsible for paying that account. A full financial disclosure will be required of each party and all debt should be noted therein. It is also helpful to obtain a copy of your credit report and ask to see your spouses as well. If you are not careful you can find yourself still paying debts long after the divorce is over as unknown, pre-divorce joint debts can pop up even after the divorce is over. If there is any way possible, don’t take any joint indebtedness with you following the final judgment of your divorce. In an equitable distribution state like Florida you can each open a credit card account in your name only and use the credit to pay off your fair share of the joint account. Be sure to include an indemnity clause as part of your final judgment. In the event a party can’t or won’t pay adjudicated debt this will allow you to take your former spouse back to court to have the court enforce the paying of that debt. The enforcement can be done with fines and even some jail time. Without this clause there is nothing you can do to keep from being responsible for former joint debt, which can prove of great hardship both in dollars and in your credit score. Don’t take your name off the title of a home, car, or any other item of joint indebtedness until the debt has been refinanced in only the name of the responsible party. For even if your name has been removed from the title and the other party is adjudicated to pay the loan, if that person fails to do so you are still legally responsible for repayment of a loan with your name still on it. You don’t want to be paying for a home you can’t live in or a car you can’t drive. Too, if your name isn’t on the title, assets can be sold without your consent and you will receive none of the profit. Clearly, an experienced Family Law attorney is needed to navigate how debt will be handled in your Florida divorce. If you need an attorney to represent you in a Florida divorce and live in Palm Beach, Martin, St. Lucie, Miami Dade, Broward, Orange, or Hillsborough County, Attorney Grant Gisondo, whose office is in West Palm Beach, is a Family Law attorney well experienced in divorce litigation. He offers a free, initial, in-office consultation where he will meet with you personally to answer questions and share with you how he can help. Call (561) 530-4568 for an appointment.